3.1 What is a Cycle Network? For larger towns and cities, it is important that detailed analysis is used in network planning so that subsequent cycling investment is justified. For smaller towns, there may be insufficient scope for detailed analysis and route options may be limited in any case. There are 7 steps to planning, budgeting and programming a cycle network. The appropriate level of input at each step will be determined by the amount of data available, the scope for improvements and the scale of investment proposed. Unofficial routes, through parks, on footpaths, through building complexes, through breaks in fences etc. It is critical to map all reported cycling accidents. In network planning or improvement existing accident locations need to be included and addressed through the 4-step process for Conflict Management. Development densities within an urban area, together with its physical layout will influence the cycle network. A well-developed cycle network will have a mesh of routes running at 250m “squares”. This density of routes allows for a feasible choice of routes close to any location that will not impose significant detours for urban cyclists. 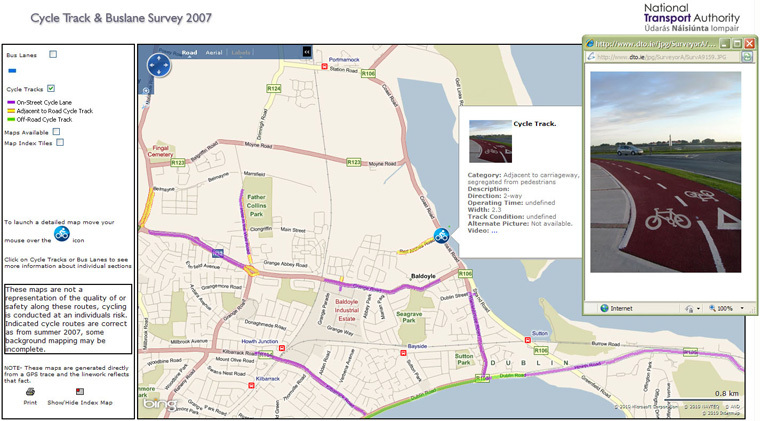 Modern GIS tools will allow for mapping of cycling accessibility to the cycling network and to the major centres. This will also identify gaps or sections of poor accessibility. are not part of a through cycle route. All breaks or severance in the continuity of a route should be clearly identified. Large roundabouts, major junctions or road crossings, valleys, network pinch points, can all have a fundamental impact on the network. In particular, the confluence of cycle routes as they approach and exit from bridges and pinch points should be specifically detailed. 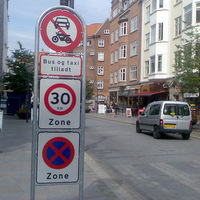 At such locations cyclists may experience unacceptable detours or delays that would reduce the overall Quality of Service for the route. If there is no solution to a key point of discontinuity or severance, or if unacceptable detours and delays cannot be avoided, the cycle network should not be planned around these locations. An efficient and effective Cycle Network will target the greatest quantity of existing and potential cycle traffic. This requires a knowledge of overall trip demand within the urban area (all trips by all modes), and an understanding of existing and potential cycling demand. Destination surveys: Key employers, shopping / commercial centres, educational centres, surveys associated with mobility management plans, etc. Use of transport Models: Saturn, OmniTrans, etc. 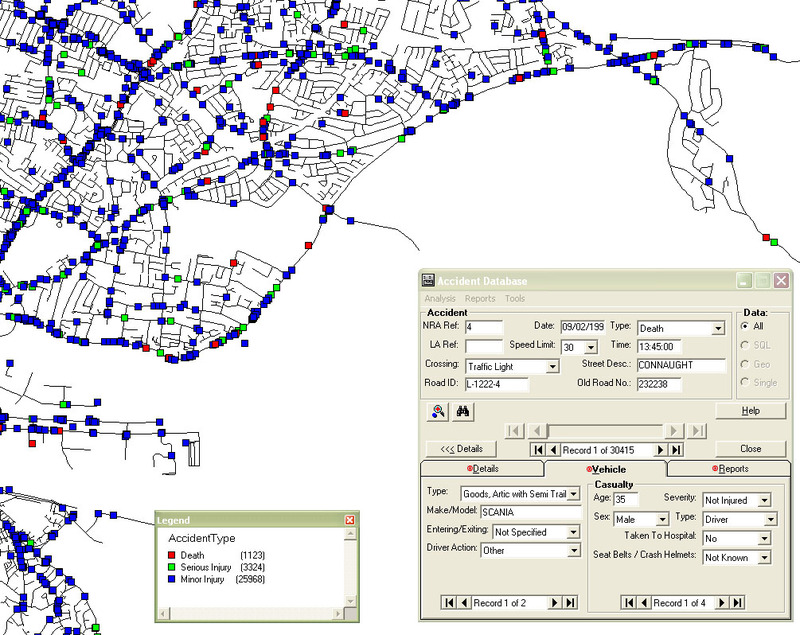 Other datasets: Traffic counts, roadside surveys, etc. Using this information, the existing trip demand, together with the potential for cycling short trips (i.e. 6km or less) can be estimated and located. Within the overall trip matrix, potential cycling trips are those journeys (or part of a multi-modal journey) that are 6km or less in length, and which generally do not involve significant movements of goods or other passengers. community based services and centres, places of worship, etc. 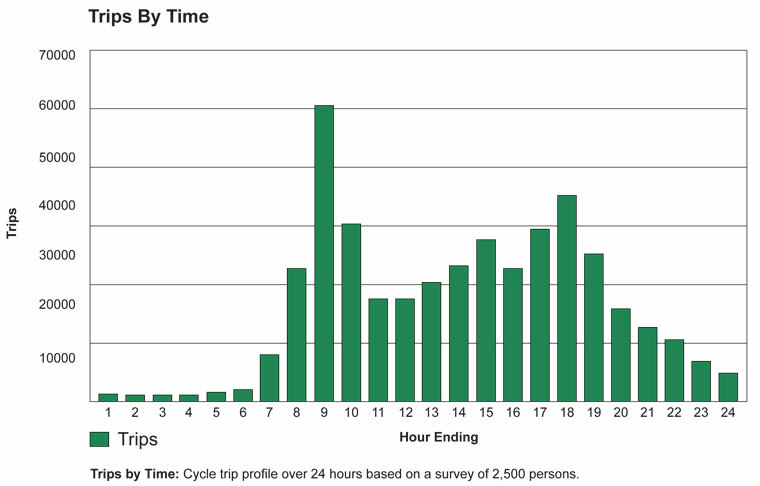 Table: Cycle trip profile over 24 hours based on a survey of 2,500 persons. 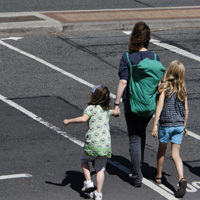 The survey also showed that households with children made 25 to 33% more trips than those without children and the trip rate did not drop-off during the summer. In addition those in employment had a 25% higher trip rate as compared to those not in employment. Therefore, network planning should consider how it serves areas with younger families and/or higher levels of employment. 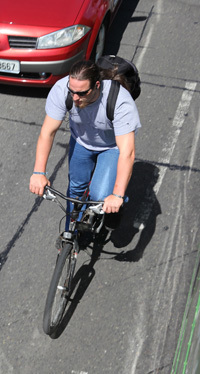 All existing and potential cycle trips need to be assigned to the Cycle Network so as to indicate where the greatest pressure for cycling is currently and will be in the future. This will allow for prioritisation of network improvements. 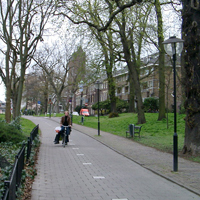 Gradient also needs to be considered as steep gradients can deter cycling on particular routes and cyclist may choose flatter, if slightly longer alternatives that require less effort. Existing cycling patterns, if known should reflect the post-assignment pattern although the overall numbers would be higher. Future trends, expected policy outcomes, target mode shifts, etc. These additional trips and zones should be mapped onto the network and future trips quantified and assigned as in Step 3. 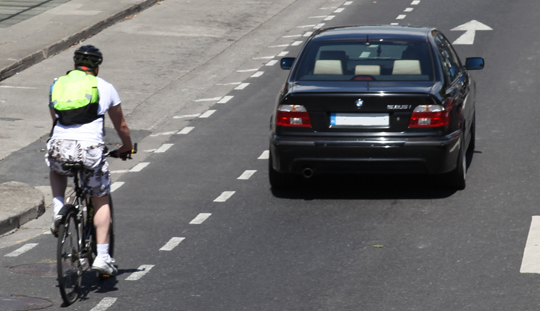 Cycling does not operate in isolation from the other modes in transport planning. As such in cycle network planning it is also necessary to consider future proposals (both short and long-term) for the other transport modes. Early identification will ensure that potential conflicts can be avoided or reconciled. Town centre masterplans, Strategic Development Zones (SDZs) etc. 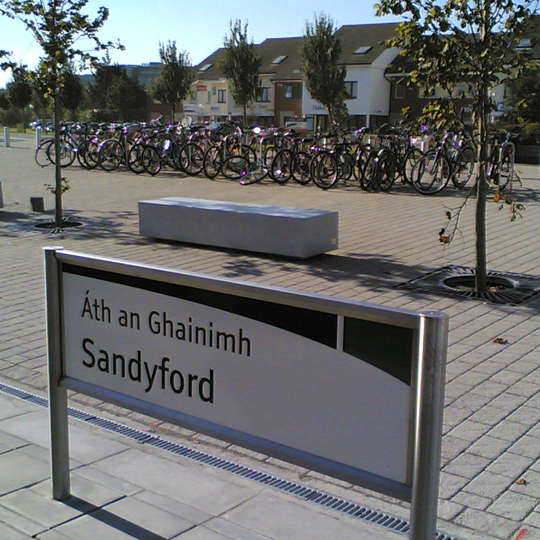 Within the Greater Dublin Area, the cycle network will be an integral part of the Strategic Traffic Management Plan for the region. 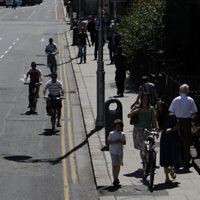 Steps 1 to 5 provide a view of existing cycle trips, future potential cycle trips, important zones and centres, forecast growth etc., mapped against the existing cycle provision. what is the effect of doing nothing, i.e. how critical is the proposed improvement? 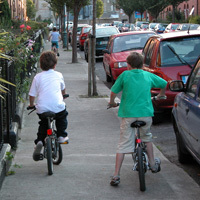 The improvements will form the basis of the cycling infrastructure programme considered in Step 7. Land acquisitions, enabling works, e.g. utility diversions etc. The Department of Finance Capital Appraisal Guidelines set out a solid method for assessing schemes and programmes. 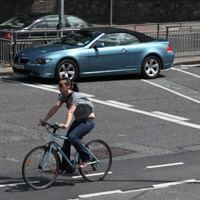 The principles within these guidelines should be followed as good practice, even where the cycle network programme may fall below certain thresholds.